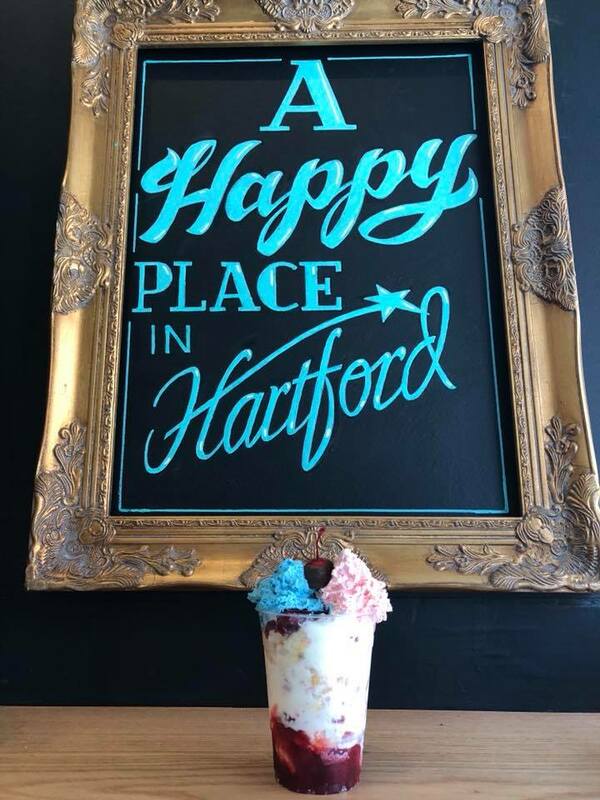 Just in time for summer, Capital Ice Cream has opened on Hartford’s Capitol Avenue, becoming the latest business to join the burgeoning block. The ice cream shop at 389 Capitol Ave. opened softly this week, with plans for an official grand opening on July 7. Inside the storefront, visitors are greeted by vividly colored hand-drawn menu boards, offering a dozen flavors in cups, cones and specialty sundaes. Husband and wife owners Shane and Chantell Boissiere-Kelly are residents of the Frog Hollow neighborhood and have seen Capitol Avenue businesses flourish in the past few years.